We have planned the following events for 2019. More details will be published here and communicated to members when available. 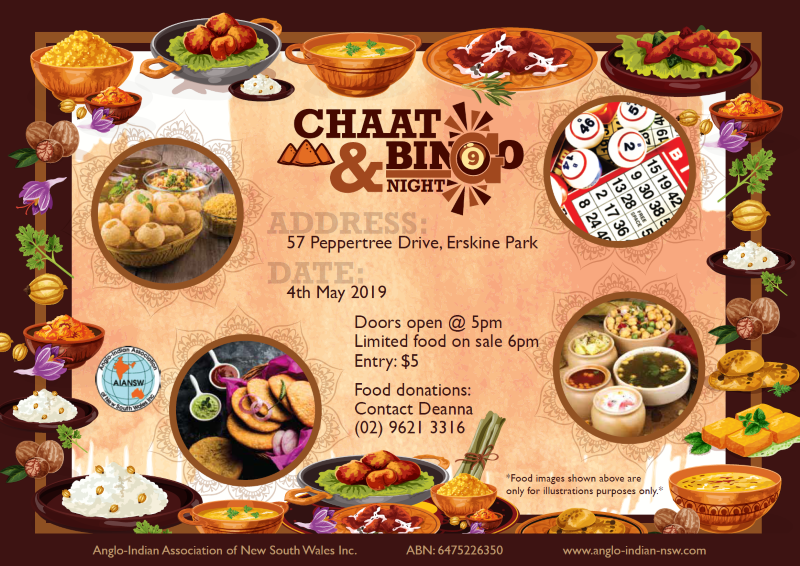 Don’t miss our much-loved Chaat and Bingo night for 2019. It is sure to be another great event! Previous Chaat nights have been exceptionally popular, so we recommend arriving on time.